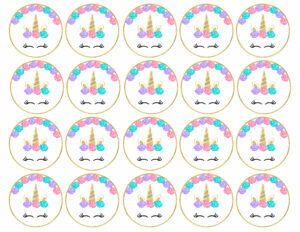 Use these free printable unicorn cupcake toppers at your unicorn themed birthday party or baby shower. 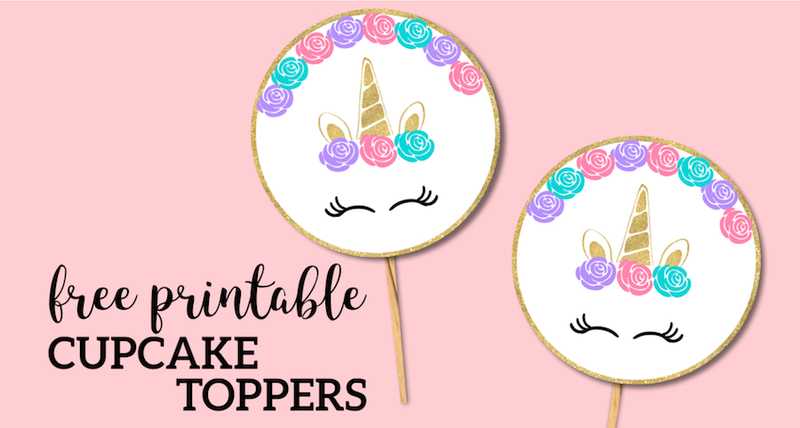 Unicorn cupcake toppers are super cute and add some fun decor to your party. Cupcake toppers are also a lot cheaper and easier than making a fancy cake. Total win! 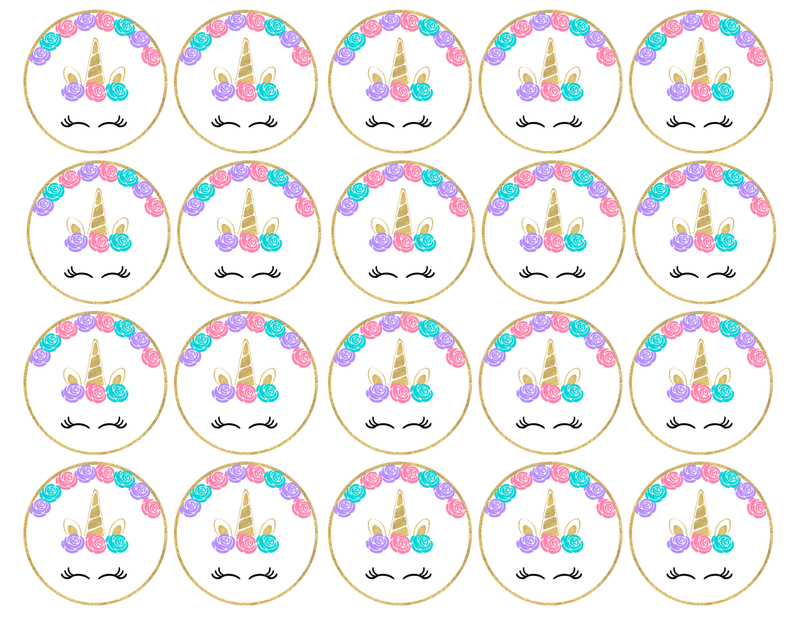 Don’t forget to check out some of our other coordinating unicorn party printables. 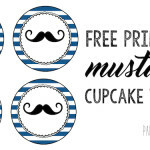 Don’t forget to check out PicMonkey a free trial of their website and you can easily customize these free printable unicorn cupcake toppers. If you want a little more guidance then check out our tutorial on how to use picmonkey. 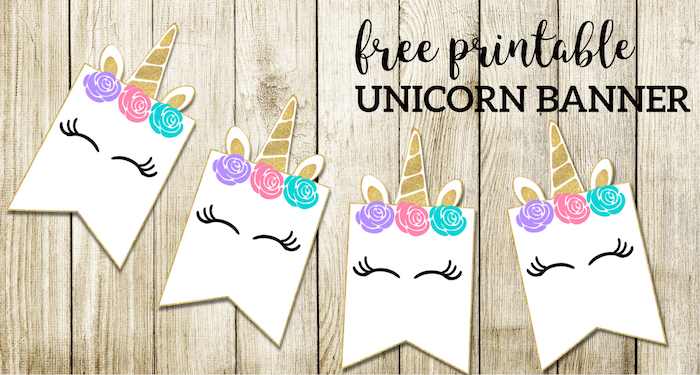 Use this free printable unicorn banner to help decorate for your birthday party or baby shower. 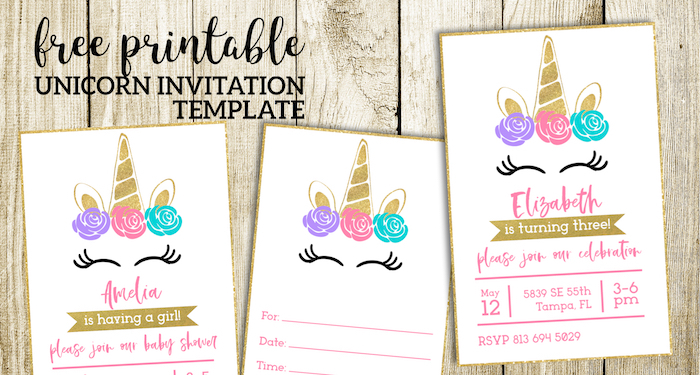 This matching unicorn invitation can be edited and used for birthday party or baby shower invitations. 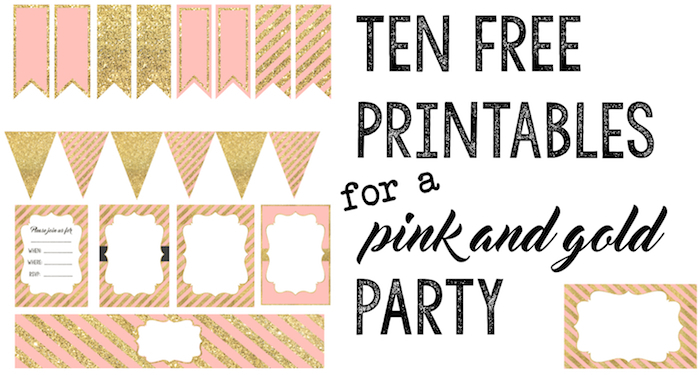 These pink and gold party printables can add some fun decor to your birthday party or girl baby shower.